Indonesia is the largest country and economy in South East Asia, with a fast-growing and increasingly urban population of over 266 MN. Per capita annual consumption of poultry meat is expected to increase from 10.9 kg (2017) to approximately 15 kg (2023) and egg consumption from 5.6 kg or 89 eggs (2017) to approximately 7.1 kg or 113 eggs (2023), driven by increasing purchasing power of its growing middle-class which is more and more consciousness about food quality & safety and are changing their preference towards protein-rich and value-added products. Matthias Brienen, Director of Larive International and coordinator of the consortium: “Historically, investments in the poultry sector have been strongly concentrated in West Java. Recently, we have noticed increasing interest in Indonesia’s emerging regions, such as North & South Sumatra, Bali, Central Java, Central & South Sulawesi and South and East Kalimantan. Companies investing in these regions form an interesting target group for the FoodTechIndonesia consortium. By introducing more knowledge-intensive production systems, Indonesia can improve its competitive position in the region. Our integrated value chain approach fits to both integrated companies as well as independent parties”. Louis Beijer, Agricultural Counsellor of the Netherlands Embassy in Jakarta: “The Netherlands is internationally renowned for responsible and sustainable production of poultry products, innovation and creating added value. Policies and practices applied in the Netherlands regarding food quality, circularity, product safety and hygiene are considered as the highest international standards. 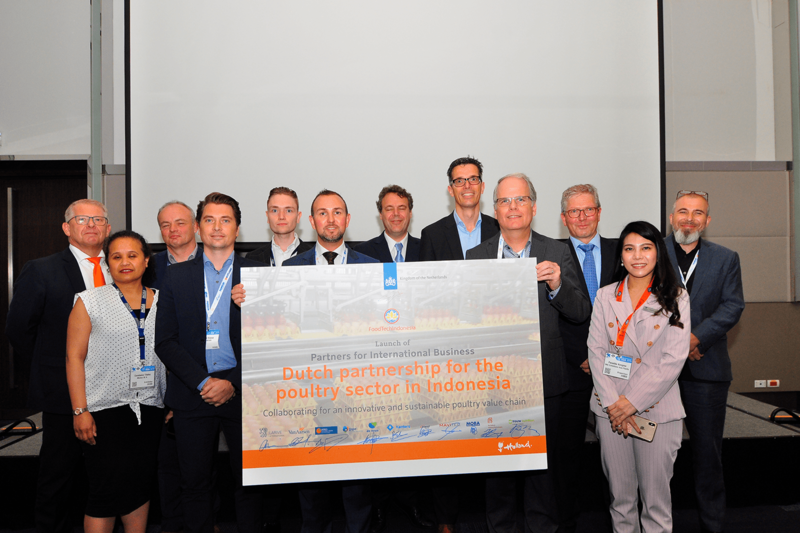 The Netherlands Government supports Dutch companies with sharing best practices and knowledge and facilitates trade and investments in Indonesia. In this regard I am confident we have a strong consortium able to tap into the commercial possibilities that the Indonesian poultry sector offers”. 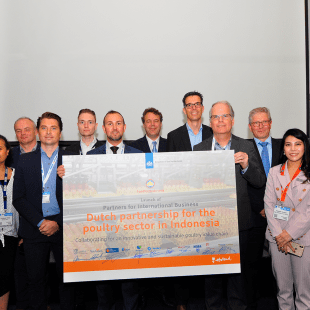 The FoodTechIndonesia initiative has been developed and is coordinated by Larive International together with its Indonesia-based affiliate Clarity Research. The Consortium receives funding from the Netherlands Ministry of Foreign Affairs within the framework of the Partners for International Business and Impact Clusters programs. Erik de Graaff (van Aarsen), Constance Titaley (Moba), Helmus Damen (Mavitech), Kay de Vreese (De Heus), Manuel van’t Sant (Marel Poultry), Matthias Brienen (Larive International), Peter Eldering (Kanters) Harm Langen (Pas Reform), Louis Beijer (NL Embassy Jakarta), Jan Hulzebosch (Aeres) and Ivan Kupin (Trouw Nutrition).